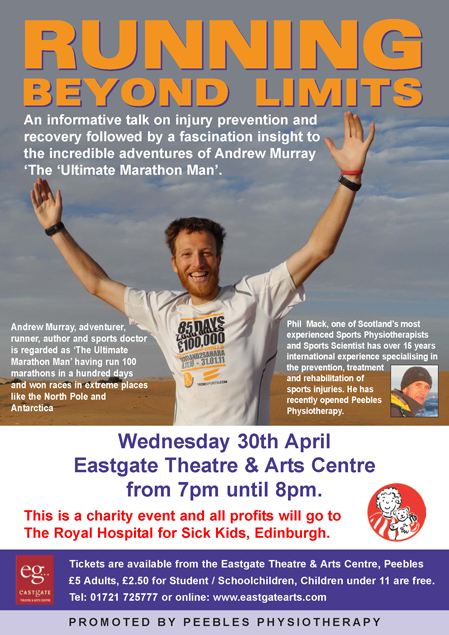 An informative talk on injury prevention and recover followed by a fascinating insight to the incredible adventures of Andrew Murray – the Ultimate Marathon Man. 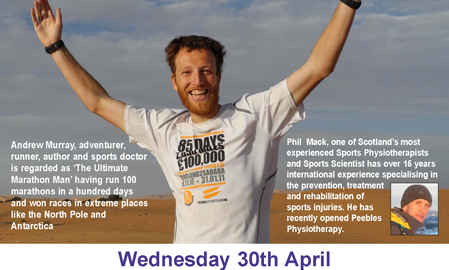 Phil Mack is one of Scotland’s most experienced Sports Physiotherapists and Sports Scientists. He has worked with the South African Springbok Rugby Team, Australian ACT Brumbies, Leicester Tigers and South African Triathlon Team amongst others. This is a charity event and all profits will go to the Royal Hospital for Sick Kids, Edinburgh.